John studied Mathematics and Statistics at Newcastle University before starting his Insurance career at Zurich in Leeds as an Underwriter. 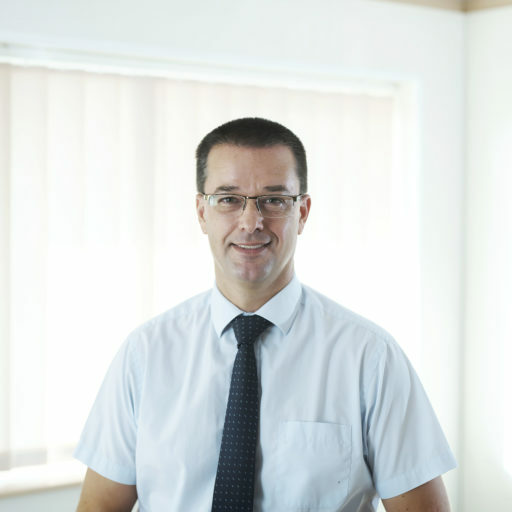 He moved to Lincolnshire in 2002, his wife having grown up in Cleethorpes, and joined Oughtred & Harrison in Grimsby, where this soon became part of Smart & Cook where he was Account Executive for 6 years. He joined Sutcliffe Insurance Brokers Grimsby office as main Account Executive in 2009 with the business joining Alan Boswell Group in 2017. Originating from Yorkshire, a committed runner but declining with age (has completed a marathon distance 10 times, but not in the last 10 years) and enjoys quizzes having made a reasonably successful appearance on Who Wants to be a Millionaire many years ago. Enjoys family time outside the world of Insurance having 2 teenage daughters who are keen and talented dancers and musicians.